Ships from and sold by Pacific Coast Book Sellers. 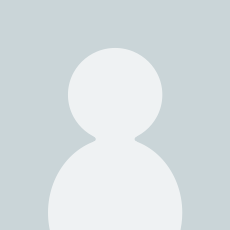 Most books on karate usually do not provide complete, detailed instructions and illustrations-the fundamentals plus the fine points-that readers hope for. This book fills the gaps left by others. The late Master Masatoshi Nakayama, chief instructor of the Japan Karate Association, left this book as a testament. It reveals his great experience as a karate competitor and teacher, describing and illustrating in detail all the correct movements involved in the particular block, punch, or kick you want to perfect, as well as instructions--on combining blocking techniques with decisive counterattacks. Also included is a glossary of all Japanese karate terms and a guide to their pronunciation. Because of the lightning speed of karate techniques, normal camera work often fails to record the action accurately. For this reason, many of the photo sequences found in Dynamic Karate were taken using a stroboscope with a flash time of 1/10,000 of a second, enabling you to follow each movement as it is actually performed. MASATOSHI NAKAYAMA carried on the tradition of his teacher, Gichin Funakoshi, the Father of Modern Karate. Long professor and director of physical education at Takushoku University, his alma mater (1937), he was chief instructor of the Japan Karate Association from 1955 until his death in 1987, A ninth degree black belt and a familiar face at tournaments, he was among the first to send instructors overseas and to encourage the development of karate as a sport along scientific lines. 5.0 out of 5 starsSuperb. This is hands down, the best karate book I have ever had the pleasure of reading. The photographs and diagrams are excellent. The text is clear and precise. This book dedicated much more space to an in-depth analysis of karate *technique*, which is exactly what I was looking for. Master Nakayama wrote this book when Shotokan Karate was still not spread all over the World, so he wanted to deliver a step-by-step manual that could be useful to those who were not close to a qualified instructor. In my opinion he excelled at his task. The pictures in the book and the explanations attached to it are outstanding, competing with todays videos available everywhere in the net, but with the benefit of seeing the best karatekas of a golden generation (Kanazawa, Yaguchi, Enoeda, etc.) performing the wazas (techniques) and commented by no other than the founder of the instructional program of the JKA himself. Its Shotokan and will help most people in TKD and Kenpo. Brand new condition. Backup for autographed copy. This book is the best book I have ever read on the fundamentals of karate (also good for taekwondo). Unlike other books which just show you techniques, this book actually explains the how and why karate movements work. This book is by far the best book on karate I have ever read if you do karate you have to read this book. I was searching for this product in my country for many years, before someone told me to look for it at Amazon. So many time I lost! This is an excellent reference book for many karateca, at any level. I'm currently a brown belt, hopefully black belt within a short time, and it is my intention to teach karate classes on a regular basis, so having a lead up to the right way is essential. 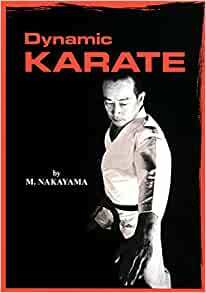 In my humble opinion the concepts, photos and tips M. Nakayama revealed on his book are priceless, no matter which belt color you are or will be wearing. I strongly recommend other colleagues to buy this masterpiece, made by one of the best karate instructors ever. Excellent book on Karate techniques to round out my martial arts library.